Ahhhhh social media... it has brought so much good in this world. The ability to connect with people in an instant all across the globe, the ability to rally behind causes, share important updates, and maintain relationships with friends and family afar. Marriage365 was born from a Facebook page years ago, where we shared marriage quotes and today over 2 million couples are getting practical advice on building a great marriage. But... there is also a dark side that social media has brought. The rise of cyber bullying, trolling, hateful and shaming comments posted with little to no accountability, and the damaging comparison of our lives against the filtered images of others. We have all experienced the judgement and criticism from someone that doesn’t agree with us... and boy, does that hurt. Ironically, while we are the most “connected” generation in the history of mankind, many studies are revealing we might actually be the most disconnected, and social media is taking most of the credit for this. Loneliness statistics have doubled in America over the past 20 years, noting that nearly 45% of Americans feel lonely. Let’s start working on creating healthy boundaries around the technology in our lives. What are some things you enjoy about social media? How has social media benefited your life? Has anyone ever judged you because of what you posted? Do you ever compare yourself to your friends or family members' posts? Is social media bringing us closer or making us more isolated and alone? What boundaries can we make that will protect us from spending too much time on social media? When I spend a lot of time on social media, how does it make you feel? 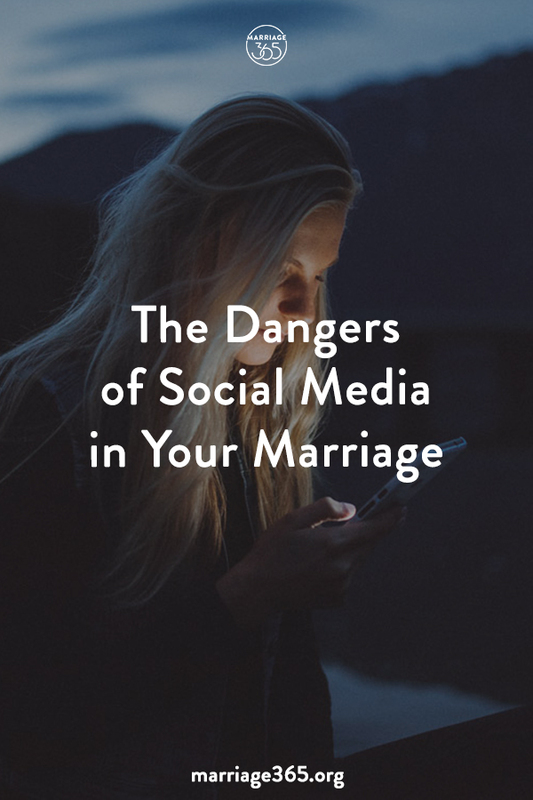 To learn about the most common dangers of social media and how they impact your marriage, watch our MyMarriage365 webcast now!